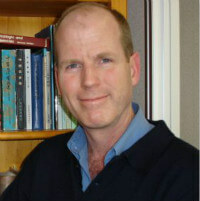 Steve Clavey has been practicing Chinese medicine in Melbourne for 30 years. He is the author of Fluid Physiology and Pathology in Traditional Chinese Medicine, Chinese Herbal Medicine: Materia Medica and a current editor of “The Lantern” a hardcopy journal of Chinese medicine published in Australia. Fu Qingzhu is rightly known as a giant in the field of traditional Chinese gynaecology, but most practitioners are unaware that he is much more famous in China as a Che Guevara figure–a rebel against the Manchu government, hiding out in the mountains of Shanxi for twenty years–and as the man who transformed the whole course of Chinese calligraphy. How Fu came to be the source of these wildly different influences is a fascinating story, especially when combined with the reason for the virtuous plagiarism of Chen Shiduo and the hidden texts of Fu Qingzhu. The session will also involve discussion of how I use a number of Fu Qingzhu’s key formulas, including several from the missing “infertility” section that was not published in the Blue Poppy edition of Fu Qing-Zhu’s Gynecology. The formulas I propose to cover are Liang Di Tang (兩地湯Two Earth Decoction), and Qing Jing San (清經散Cool the Menses Powder) for early periods; Tiao Gan Tang (調肝湯Regulate the Liver) for dysmenorrhea; and Wen Bao Tang (溫胞湯Warm the Uterus Decoction), Sheng Dai Tang (升帶湯 Raise the Dai [Channel] Decoction) and Kai Yu Zhong Yu Tang (開鬱種玉湯 Free Constraint to Give Birth to Jade Decoction) for infertility.